China’s Chang’e-4 probe has found that the temperature of the lunar surface is colder than expected as it drops to as low as minus 190 degrees centigrade and lower than the data obtained by the US Apollo mission on the near side of the Moon. China’s Chang’e-4 probe, launched on December 8, landed on the Von Karman Crater in the South Pole-Aitken Basin on the far side of the Moon on January 3. This was the first time Chinese scientists received a first-hand data about the temperatures on the surface of the far side of the Moon during the lunar night, Xinhua news agency reported on Thursday. 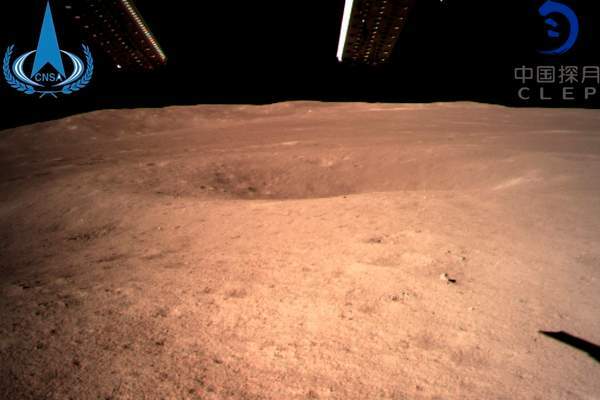 “According to the measurements of Chang’e-4, the temperature of the shallow layer of the lunar soil on the far side of the Moon is lower than the data obtained by the US Apollo mission on the near side of the Moon,” said Zhang He, Executive Director of the Chang’e-4 probe project. The rover and the lander of the Chang’e-4 probe were awakened after a long “sleep” during their first extremely cold night on the Moon, the China National Space Administration announced on Thursday. As a result of the tidal locking effect, the Moon’s revolution cycle is the same as its rotation cycle and the same side of the Moon always faces Earth. A lunar day equals 14 days on Earth and a lunar night is the same length. The Chang’e-4 probe switched to dormant mode during the lunar night due to the lack of solar power.